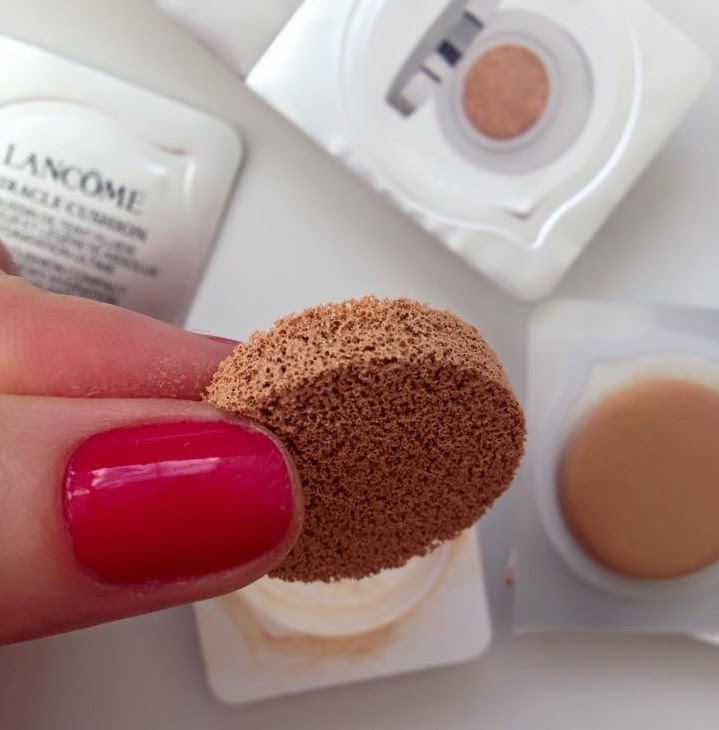 Lancôme, the Parisian beauty giant, is the very first one to launch on the European market , the Miracle Cushion, beauty secret of Koreans. I see Miracle Cushion as a new beauty innovation, ready to make you forget about every BB or CC cream or any other 5 in 1 magical cream, of Korean influence. 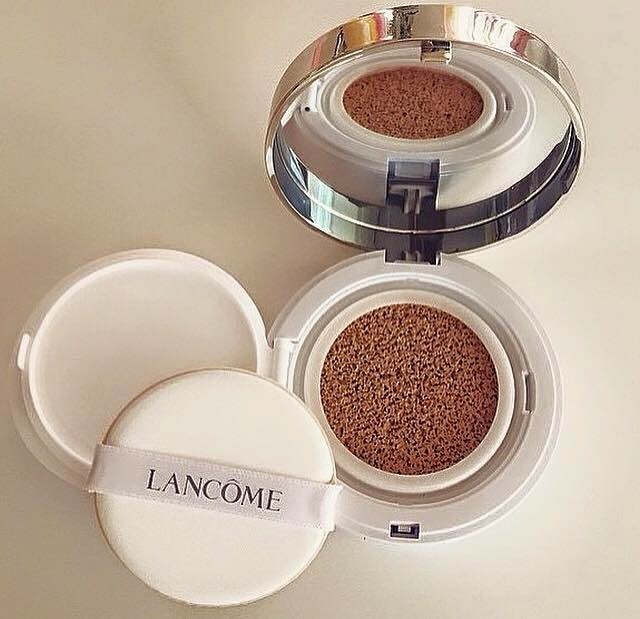 Lancôme Miracle Cushion Cream comes encapsulated in a small case, has a light airy texture and a special non-absorbing sponge that provides an ideal application. This product is more a fusion of a liquid with a compact product. It has the freshness of a liquid foundation and the facility of a compact, is easy to carry around in your bag and to do small touch ups during day. 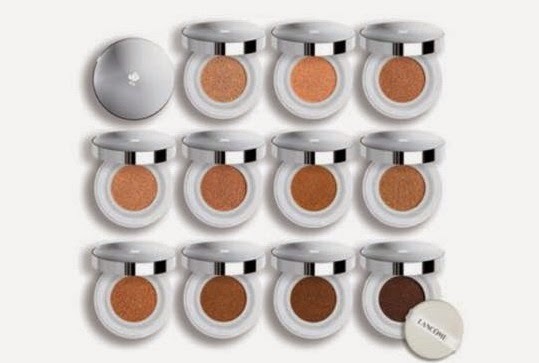 Lancôme Miracle Cushion Cream has UV filters (SPF 23), moisturizing properties and special pigments to even and unify your skin tone. This foundation comes in 12 shades but in some countries only 6 shades are available. This foundation is encapsulated, so you can buy a refill, next time - I thought would be important to mention this, as the refill costs less. 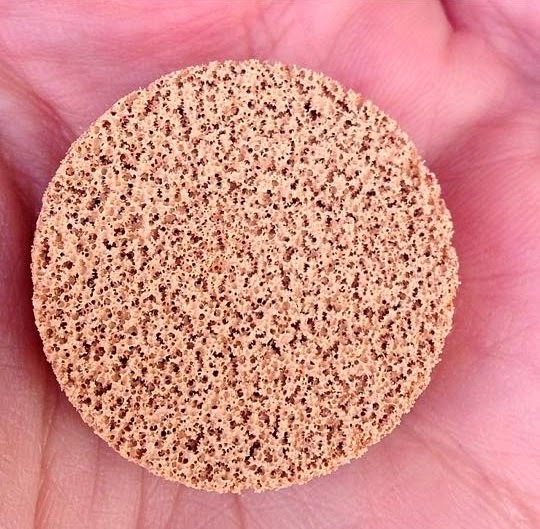 Best to be applied is by tapping on your skin with the non absorbent sponge. When pressing hard on the cushion you will get a bigger amount of product, and so the coverage can be higher. It might sound complicated to use this foundation, but is quite easy and you don't need to worry about what brush are you going to use. This is how the cushion looks like and is simply soaked with liquid foundation.This cushion is from a tester, I thought will be nice to show you how it looks, but the same type of cushion is in the actual product. Miracle Cushion is a great product for on the go, it feels weightless on your skin, has SPF23 and leaves a radiant skin. 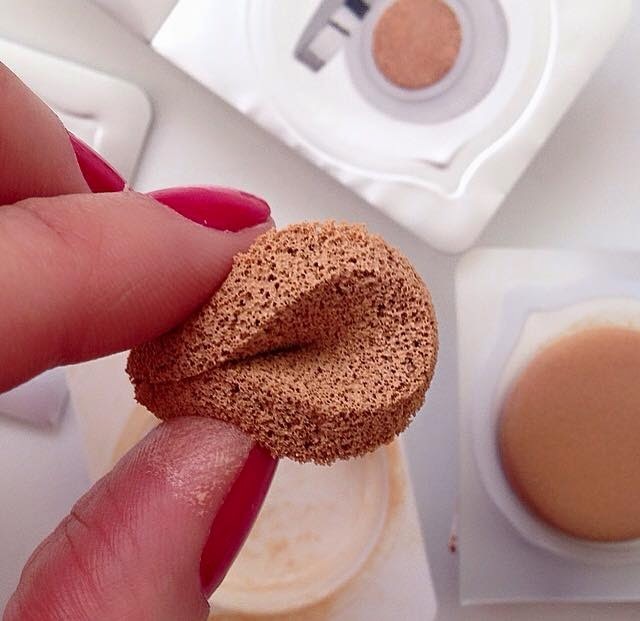 If you are a BB/CC cream lover, you will adore this foundation. Even if the coverage can be buildable, this product will not offer a full coverage and you might need additional concealing. You can see on my wrist the level of coverage. If you are a person that needs and like medium to full coverage, this product is not for you, as you might find it quite sheer. After wearing this foundation for several days, I can say that it gives a long moisturizing feeling and it does not dry skin out, it feels feather light on skin witch makes it extremely comfortable to wear by people with normal to dry complexion. One issue with this foundation is that would be difficult to find your matching shade, as you can not mix it with something else, and that can be a bummer. Another bad thing about Miracle Cushion is that it might dry out or oxidase. Keep in mind to close the inner lid tightly after using the product to preserve the freshness of the liquid inside the cushion. 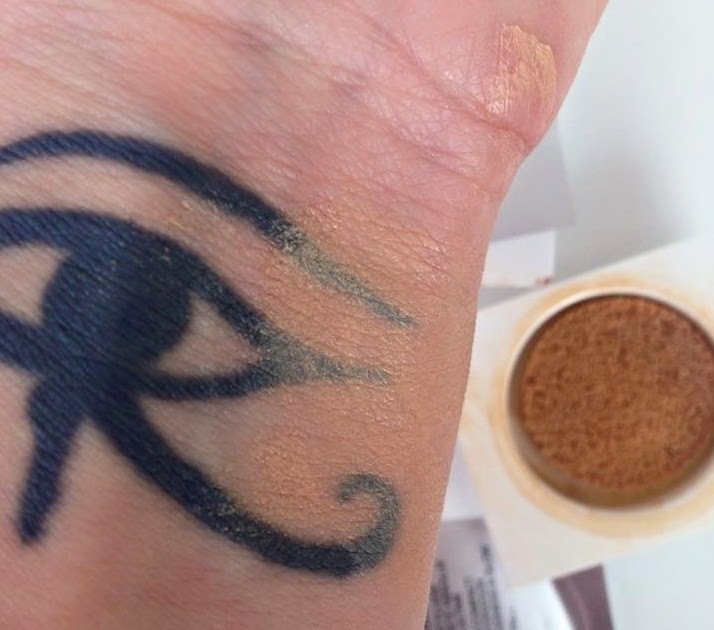 Price might be another problem :)) 14 g of foundation 40-44 euro, refill 30 euro. I liked how this foundation makes my skin look but I just can't splurge so much money on 14g of foundation, sorry Lancôme! Have you tried any cushion products ? The price is big indeed. It looks interesting but sometime the price is also something you take in consideration.